So you are very aware by now that the purpose in being a hypnotist, at least in Conversational Hypnosis, is to create changes in behaviors. These changes should lead people to lead happier, healthier and more fulfilling lives. One of the key formulas in learning hypnosis that will help you reach these goals is the ABSAIL formula. The ABSAIL formula is a simple set of words that will help guide you in creating behavioral changes for the people you are working with. Each letter in ABSAIL signifies a step in the somewhat challenging process of persuasion. The first two steps you will be familiar with as they are taken straight from the 4 Stage Protocol in learning hypnosis. The A stands for Absorbed Attention. Like we said this from the 4 Stage Protocol, and is the first stage in this formula as well. This is simply the concept of focusing your subject’s attention. This needs to be done to the point of all their thoughts being focused on you and the states you are inducing. All their thoughts, ideas and emotions should be following along the parameters you are setting with in the conversation you are having with them. Draw them into you and fill their senses with what you are saying. Make sure that you ‘go first’ so as to provide information they can adequately follow along as you are sub-communicating the experiences you want them to focus on. The B in ABSAIL stands for the second stage in the 4 Stage Protocol, and that is to bypass the critical factor. Now this is imperative, because before they can begin to respond to you unconsciously their critical factor must be asleep. Critical factor is the mechanism inside our heads that makes conflict with information. It criticizes and analyzes all the information that consciously flows through our minds. Critical factor must be bypassed in order for you to be able to access a hypnotic trance. If this is not done then you will not be able to successfully place suggestions within the minds of the people around you. S in this formula is where we start to veer away from the 4 Stage Protocol. S stands for State change. This is an important part of your objective because you need to access different states within the mind in order to sow the seeds of suggestion in the right places. If you have no way to help your clients change their state of mind then you will not be able to advance in the session. State change will happen when you change the mood of a person. You change moods not minds, remember. So as you change the moods of your listener you will have more freedom in establishing the state you would like them to enter. A and I in ABSAIL are paired to stand for augmentation and intensify. In the idea of augmentation you are simply trying to expand the state of mind. Make it encompass more of the emotion and experience your subject is having. Intensity can also be augmented and made greater. However the actual definition of intensify is to increase the amount of feeling behind the story, feeling or emotion; that is why these two go together so nicely. After you have augmented the state you want to intensify it as well. You also want to intensify the responses you are getting from your subject. By intensifying these things you are making the experience more real for them. You are creating a vivid picture that they can lose themselves in. The greater the intensity of the state the better and quicker you can set an emotional trigger, making this an important step in this formula and in hypnosis. That leaves us with the L. The L in ABSAIL is to Link to Action. There is a choice in this step you can either set a trigger or go directly to the linking to action. This happens after you have ignited the neurology within the brain and it is aglow with the action of the experience you are creating for your subject. You simply take the emotion that they are filled with and link it to the action you want them to take. Now that you have all the components of the ABSAIL Formula it would be nice if you could picture it in action. The best, and most common, example of ABSAIL we see everyday in the form of advertisements. Advertisements take you through every step of ABSAIL in approximately 30 seconds to a minute. Ads are a prime example of this in that they begin by absorbing our attention and then move into bypassing the critical factor simply because they are usually uninteresting at the start. After that they change state and add intensity by teasing you with the things you most desire. Usually there are fast cars, beautiful women and glamorous lifestyles in advertisements. They heighten the intensity by showing you what you want to see, what many would like to have. Then they simply link their product to the action that is taking place with in the ad. It is important to learn the ABSAIL Formula as it will be a foundation for you to check yourself against when you are using conversational hypnosis. 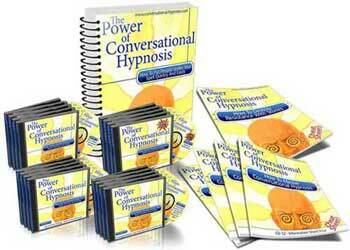 These steps are easy to remember and designed to offer you success in the field of hypnosis. As you build on each one of these skills you will learn to set the conditions up in just the right ways to access states properly. Usually this is done with ASP in mind. As well as combining them with the other techniques you have been learning throughout. These are all skill that can be used together to create a powerful and impacting change to better a persons life. These techniques will assist in a successful point of action where your subject takes the reigns and learns to have a more fulfilling life because of their work with you.